Spring has sprung so they tell me but, in the spirit of the season that is yet to fully come upon us, I’m getting all excited about the prints. 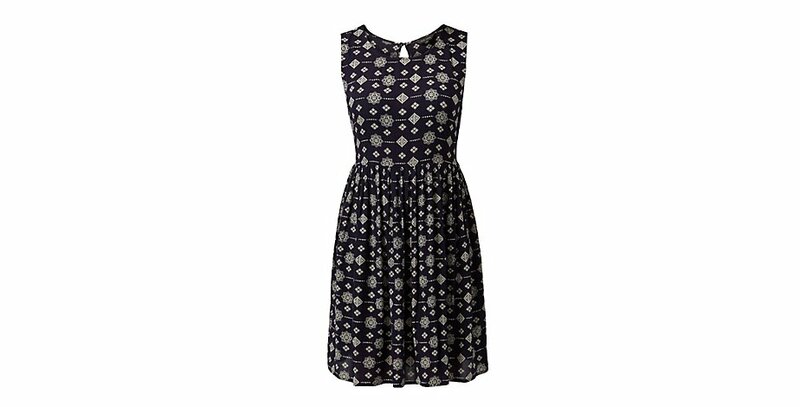 Who doesn’t love a floral, an aztec, a ‘let’s-stick-a-bird-on-it’ print? I’m no forward thinking fashionista but I know what I like, what suits me and what I feel I can conquer the world in and that’s dresses - it also makes getting ready and putting any outfit together about 100% easier for the fashion-phobe in me. I’ve never been one for solid, single colours when you can have more fun with a print. With the sun slowly starting to peek out for a little longer each day and the denier on my tights dropping from thermal insulated 200+, brighter prints are really starting to catch my magpie eye. 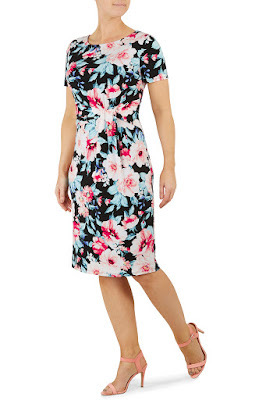 Some of the dresses from the David Emanuel collection for *Bon Marche have really caught my eye. The painted floral side knot dress would be the perfect day to night dress for a Springtime wedding, with it’s crew neckline, sleeves and flattering knot tie detailing. I love big, bold floral prints, paired with soft voluminous curls and a solid colour clutch. For a more relaxed event, the oriental print jersey tunic has this gorgeous print that reminds me of dandelions being blown across a field at sunset (you know, that Instagram picture!). It goes great with leggings or tights, and your favourite flats. 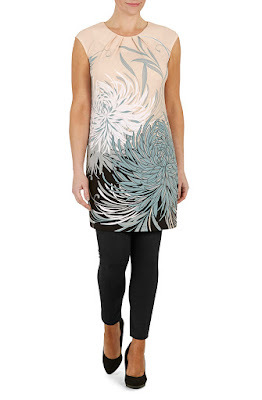 This would be perfect for meeting the girls for coffee or taking Mum for an afternoon at the theatre! New Look have got some cracking spring prints in at the minute, and if floral isn't your thing, then this navy tile print is something a little edgier. I’d pair it with some chunky wedges and oversized sunnies, hair piled high. 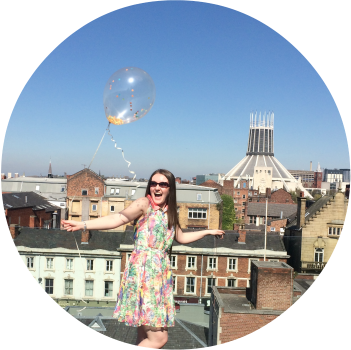 When it comes to quirky fun prints, Emily and Fin always manage to win me over. Their Lucy dresses are a skater dress lovers dream, with slightly heavier fabric, fuller skirts with a soft pleat and a flatter-all waist-band, I can’t help but do a couple of full twirls to fan that skirt out whenever I wear one! OH, and they have pockets. That’s a big deal! 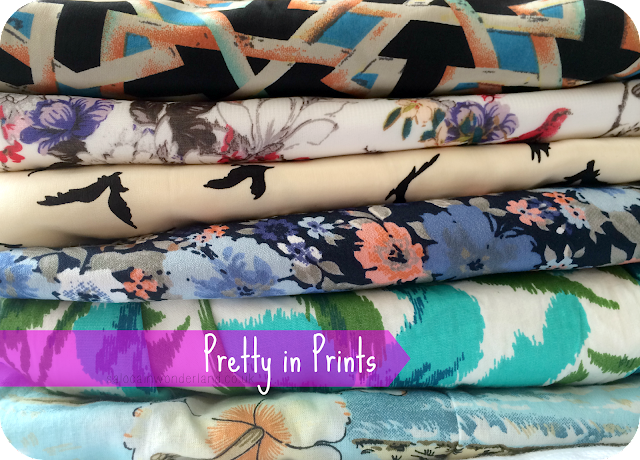 Do you have a passion for prints? Share some of your favourites with me in the comments below! *Post was written on behalf of Bon Marche, but all views and opinions are 100% my own. See my disclaimer policy here. I love prints, mainly floral. I really love the first and last dress! Woo. Yay for floral, can't go wrong with a flower power print in my book! Hehe ain't they just! Want them all! I don't think there's such a thing as owning too many dresses, is there?? If I'm wearing separate pieces then I'm the same, got to keep it plain on the bottom! Also anything with TOO big of pleats in, that's just not flattering when you've got hips and a backside to match!